Chien joined Watsi on July 9th, 2015. Two years ago, Chien became the 2328th member to automatically support a new Watsi patient every month. Since then, 2,778 more people have become monthly donors! 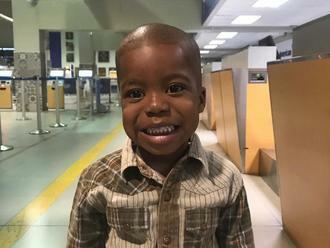 Chien's most recent donation traveled 10,000 miles to support Mavelt, a child from Haiti, to fund prep for cardiac surgery. Chien has funded healthcare for 37 patients in 13 countries. David is a child from Kenya. He is the first of two children and lives with his parents and sibling in a one-room rental house in Central Kenya. David was diagnosed with cryptorchidism, a condition in which one or both of the testicles remains undescended. If left untreated, David has an increased risk of developing hernias, testicular cancer, and fertility problems in the future. David will be receiving assistance from our medical partner, African Mission Healthcare Foundation (AMHF). Fortunately, he is scheduled to undergo corrective surgery on November 7. AMHF is requesting $542 to cover the total cost of his procedure and care. “I feel sad to see my son in pain and hope that someday he will forget all this pain,” says David’s mother. John is a student from Kenya. He is the third born in a family of four. John loves playing football. His father is a mechanic at the local shopping center, while his mother is a housewife. John recently got into a motorcycle accident, which left him with a fracture of the left tibia. It is difficult for him to walk without support, and he is in chronic pain Fortunately, surgeons at our medical partner can help. On July 12, John will undergo a fracture repair procedure, called an open reduction and internal fixation. This procedure will help him walk easily, and he will be able to play football again. Now, our medical partner, African Mission Healthcare Foundation, is requesting $998 to fund this procedure. Advent is a quiet and active five-year-old boy. 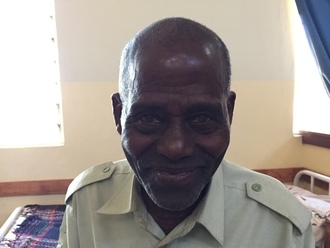 He lives with his family of five in central Tanzania and enjoys playing with his friends in his free time. Advent’s parents are small-scale farmers who grow maize and beans for family consumption. They also sell fish at the local market. Advent was born with clubfeet, making it difficult and painful for him to walk. He has not attended school for some time. His parents cannot afford to take Advent to the hospital to seek treatment. A family friend told them about a Watsi care center, and they decided to visit. 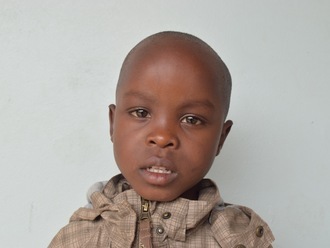 Advent will need $890 to fund his clubfoot repair surgery, scheduled for September 12. Advent's father looks forward to his son being treated. After surgery, Advent is expected to walk more easily and live a more normal life. Eh is an eight-year-old boy from Thailand. He lives with his family in a small village in Tak, a province on the nation's western border. Since birth, Eh has suffered from a blood disorder called thalassemia, which means that he has less hemoglobin and fewer red blood cells than a typical, healthy blood system. This year, Eh developed a cough and headache. He and his family sought treatment at a nearby hospital, where doctors diagnosed him with an enlarged spleen. Eh's family was unable to pay for the surgery and Eh received medication to control his symptoms instead. 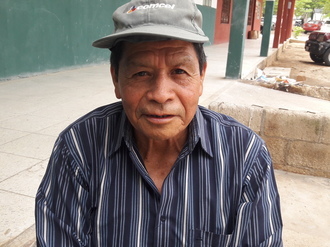 He returned to the hospital several times, after which he was referred to our medical partner's care center for treatment. Our medical partner, Burma Children Medical Fund, is requesting $1,500 to fund Eh's operation. He is scheduled for surgery on August 21 at our medical partner's care center, Mae Sot General Hospital. 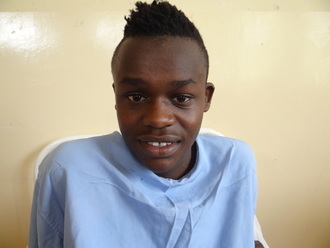 After treatment, Eh's mother is hopeful that he will be able to attend school and pursue his dreams. "I want to be a doctor when I grow up," Eh says. Ngun is 65 years old. She is married and has four sons, three daughters, and 13 grandchildren. She likes to listen to monks pray on the radio and do housework in her free time. Ngun developed a cataract in her right eye about eight years ago, causing her blurred vision, itchiness, cloudy lenses, photophobia (extreme sensitivity to light), and tearing. It is difficult for her to see things clearly, recognize faces, do any type of work, and go anywhere outside by herself. Ngun knew about our medical partner, Children's Surgical Centre (CSC), because her granddaughter had surgery there before. She traveled for three hours with her grandson to reach CSC for treatment. The doctors at CSC are recommending surgery to help her condition. Her surgery is scheduled for May 29. The procedure will cost $153. Her family cannot afford this treatment and are appealing to Watsi for financial assistance. After surgery in her right eye, Ngun will be able to see clearly again. She will also be able to gain her independence back. Namnyaki is a 24-year-old woman who works as a housekeeper to support her family. Since birth, Namnyaki has had a large benign mass on her neck. The mass is painful, uncomfortable to the touch, and has been increasing in size. Namnyaki is worried about further discomfort from the enlarged mass. She sought treatment in the past, but these treatments were not successful in relieving her discomfort. On February 12, Namnyaki will undergo surgery to remove the entire mass from her neck. Our medical partner, African Mission Healthcare Foundation, is asking for $920 to fund the surgery. Namnyaki is excited to work without experiencing pain from the back of her neck. She says, "I hope that I will be able to live a life without worry. If this surgery is successful, I will be able to work harder in life." Eugene is a ten-month-old boy from the Philippines. An only child, he lives with his parents in a bamboo house. Weak and susceptible to illness, Eugene has been diagnosed with severe acute malnutrition. His mother is concerned for his health, but she looks forward to his recovery and hopes that her son will someday become a teacher. Our medical partner, International Care Ministries, is requesting $268 to cover the cost of an in-home feeding program to treat Eugene's malnutrition. This will pay for nutrient-enriched food packs, weekly visits from medical staff, and health education for family members. Eugene is scheduled to begin treatment on February 23.